4156800 FB25GH-1E KOMATSU FB25GH-1E Electric forklift. Spare parts catalog. Service Manual. 4156801 FB25H-1E KOMATSU FB25H-1E Electric forklift. Spare parts catalog. Service Manual. 4156802 FB25EX-10 KOMATSU FB25EX-10 Electric forklift. Spare parts catalog. Service Manual. 4156803 FB25EXF-10 KOMATSU FB25EXF-10 Electric forklift. Spare parts catalog. Service Manual. 4156804 FB25EXG-10 KOMATSU FB25EXG-10 Electric forklift. Spare parts catalog. Service Manual. 4156805 FB25EXGF-10 KOMATSU FB25EXGF-10 Electric forklift. Spare parts catalog. Service Manual. 4156806 FB25EXL-10 KOMATSU FB25EXL-10 Electric forklift. Spare parts catalog. Service Manual. 4156807 FB25EX-11 KOMATSU FB25EX-11 Electric forklift. Spare parts catalog. Service Manual. 4156808 FB25EXF-11 KOMATSU FB25EXF-11 Electric forklift. Spare parts catalog. Service Manual. 4156809 FB25EXG-11 KOMATSU FB25EXG-11 Electric forklift. Spare parts catalog. Service Manual. 4156810 FB25EXGF-11 KOMATSU FB25EXGF-11 Electric forklift. Spare parts catalog. Service Manual. 4156811 FB25EXL-11 KOMATSU FB25EXL-11 Electric forklift. Spare parts catalog. Service Manual. 4156812 FB25HB-11 KOMATSU FB25HB-11 Electric forklift. Spare parts catalog. Service Manual. 4156813 FB25-1R KOMATSU FB25-1R Electric forklift. Spare parts catalog. Service Manual. 4156814 FB25-2 KOMATSU FB25-2 Electric forklift. Spare parts catalog. Service Manual. 4156815 FB25H-2 KOMATSU FB25H-2 Electric forklift. Spare parts catalog. Service Manual. 4156816 FB25L-2 KOMATSU FB25L-2 Electric forklift. Spare parts catalog. Service Manual. 4156817 FB25H-2R KOMATSU FB25H-2R Electric forklift. Spare parts catalog. Service Manual. 4156818 FB25-3 KOMATSU FB25-3 Electric forklift. Spare parts catalog. Service Manual. 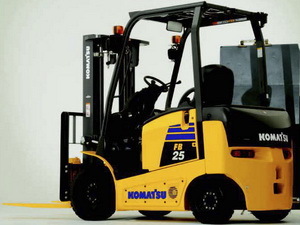 4156819 FB25G-3 KOMATSU FB25G-3 Electric forklift. Spare parts catalog. Service Manual. 4156820 FB25GH-3 KOMATSU FB25GH-3 Electric forklift. Spare parts catalog. Service Manual. 4156821 FB25L-3 KOMATSU FB25L-3 Electric forklift. Spare parts catalog. Service Manual. 4156822 FB25SH-3 KOMATSU FB25SH-3 Electric forklift. Spare parts catalog. Service Manual. 4156823 FB25H-3R KOMATSU FB25H-3R Electric forklift. Spare parts catalog. Service Manual. 4156824 FB25HG-3R KOMATSU FB25HG-3R Electric forklift. Spare parts catalog. Service Manual. 4156825 FB25SH-4 KOMATSU FB25SH-4 Electric forklift. Spare parts catalog. Service Manual. 4156826 FB25EX-5 KOMATSU FB25EX-5 Electric forklift. Spare parts catalog. Service Manual. 4156827 FB25GT-5 KOMATSU FB25GT-5 Electric forklift. Spare parts catalog. Service Manual. 4156828 FB25S-5 KOMATSU FB25S-5 Electric forklift. Spare parts catalog. Service Manual. 4156829 FB25SH-5 KOMATSU FB25SH-5 Electric forklift. Spare parts catalog. Service Manual. 4156830 FB25SHG-5 KOMATSU FB25SHG-5 Electric forklift. Spare parts catalog. Service Manual. 4156831 FB25SH-6 KOMATSU FB25SH-6 Electric forklift. Spare parts catalog. Service Manual. 4156832 FB25SHE-6 KOMATSU FB25SHE-6 Electric forklift. Spare parts catalog. Service Manual. 4156833 FB25SHG-6 KOMATSU FB25SHG-6 Electric forklift. Spare parts catalog. Service Manual. 4156834 FB25SHGE-6 KOMATSU FB25SHGE-6 Electric forklift. Spare parts catalog. Service Manual. 4156835 FB25EX-8 KOMATSU FB25EX-8 Electric forklift. Spare parts catalog. Service Manual. 4156836 FB25EXF-8 KOMATSU FB25EXF-8 Electric forklift. Spare parts catalog. Service Manual. 4156837 FB25EXG-8 KOMATSU FB25EXG-8 Electric forklift. Spare parts catalog. Service Manual. 4156838 FB25EXGF-8 KOMATSU FB25EXGF-8 Electric forklift. Spare parts catalog. Service Manual. 4156839 FB25EXL-8 KOMATSU FB25EXL-8 Electric forklift. Spare parts catalog. Service Manual. 4156840 FB28-1R KOMATSU FB28-1R Electric forklift. Spare parts catalog. Service Manual. 4156841 FB30H-1E KOMATSU FB30H-1E Electric forklift. Spare parts catalog. Service Manual. 4156842 FB30-1R KOMATSU FB30-1R Electric forklift. Spare parts catalog. Service Manual. 4156843 FB30H-2R KOMATSU FB30H-2R Electric forklift. Spare parts catalog. Service Manual. 4156844 FB30S-3 KOMATSU FB30S-3 Electric forklift. Spare parts catalog. Service Manual. 4156845 FB30H-3R KOMATSU FB30H-3R Electric forklift. Spare parts catalog. Service Manual. 4156846 FB30SH-4 KOMATSU FB30SH-4 Electric forklift. Spare parts catalog. Service Manual. 4156847 FB30EX-5 KOMATSU FB30EX-5 Electric forklift. Spare parts catalog. Service Manual. 4156848 FB30S-5 KOMATSU FB30S-5 Electric forklift. Spare parts catalog. Service Manual. 4156849 FB30SH-5 KOMATSU FB30SH-5 Electric forklift. Spare parts catalog. Service Manual. 4156850 FB30SH-6 KOMATSU FB30SH-6 Electric forklift. Spare parts catalog. Service Manual. 4156851 FB30SHE-6 KOMATSU FB30SHE-6 Electric forklift. Spare parts catalog. Service Manual. 4156852 FB30EX-8 KOMATSU FB30EX-8 Electric forklift. Spare parts catalog. Service Manual. 4156853 FB30-10 KOMATSU FB30-10 Electric forklift. Spare parts catalog. Service Manual. 4156854 FB30-11 KOMATSU FB30-11 Electric forklift. Spare parts catalog. Service Manual. 4156855 FB32SH-6 KOMATSU FB32SH-6 Electric forklift. Spare parts catalog. Service Manual. 4156856 FB32SHE-6 KOMATSU FB32SHE-6 Electric forklift. Spare parts catalog. Service Manual. 4156857 FS20S-1 KOMATSU FS20S-1 Electric forklift. Spare parts catalog. Service Manual. 4156858 FS20SH-1 KOMATSU FS20SH-1 Electric forklift. Spare parts catalog. Service Manual. 4156859 FS23SH-1 KOMATSU FS23SH-1 Electric forklift. Spare parts catalog. Service Manual. 4156860 FS25SH-1 KOMATSU FS25SH-1 Electric forklift. Spare parts catalog. Service Manual. 4156861 FS28SH-1 KOMATSU FS28SH-1 Electric forklift. Spare parts catalog. Service Manual. 4156862 FS30SH-1 KOMATSU FS30SH-1 Electric forklift. Spare parts catalog. Service Manual. 4156863 FB35SH-1 KOMATSU FB35SH-1 Electric forklift. Spare parts catalog. Service Manual. 4156864 FB35ZSH-1 KOMATSU FB35ZSH-1 Electric forklift. Spare parts catalog. Service Manual. 4156865 FB35-2 KOMATSU FB35-2 Electric forklift. Spare parts catalog. Service Manual. 4156866 FB35-3 KOMATSU FB35-3 Electric forklift. Spare parts catalog. Service Manual. 4156867 FB40-2 KOMATSU FB40-2 Electric forklift. Spare parts catalog. Service Manual. 4156868 FB40-3 KOMATSU FB40-3 Electric forklift. Spare parts catalog. Service Manual. 4156869 FB45SH-1 KOMATSU FB45SH-1 Electric forklift. Spare parts catalog. Service Manual. 4156870 FB45SHG-1 KOMATSU FB45SHG-1 Electric forklift. Spare parts catalog. Service Manual. 4156871 FB55SH-1 KOMATSU FB55SH-1 Electric forklift. Spare parts catalog. Service Manual. 4156872 FB55SHG-1 KOMATSU FB55SHG-1 Electric forklift. Spare parts catalog. Service Manual.